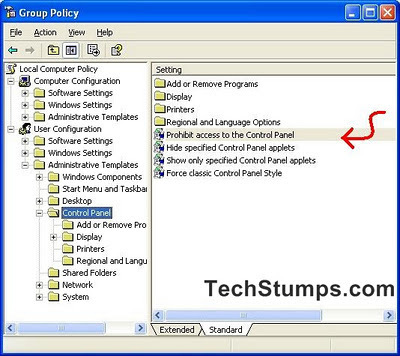 Control panel has a set of functions to handle the operating system settings. We can set the date/time, remove programs, manage hardwares like display, keyboard, printers and changing many of the system settings. Control panel is a important part of a computer. 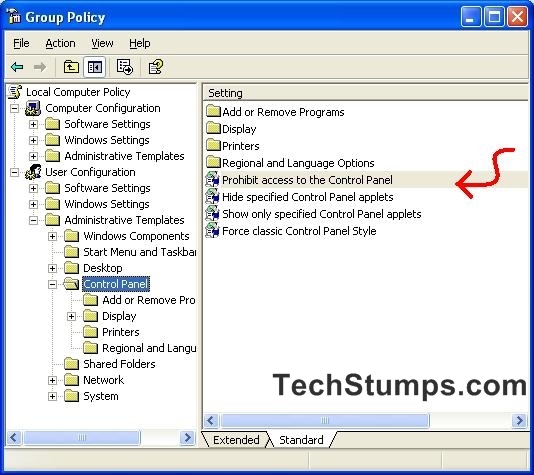 If you are using a computer at home or office, some of your friends and anyone can change the settings and make problems to your system. They will uninstall a important software or programs too. In these cases you will be affect and lose your settings. So how to disable and block other users to access control panel. 2. Type “gpedit.msc” and enter. A Group Policy Editor settings window will appear. That’s it. Then you do not fear about your control panel settings. 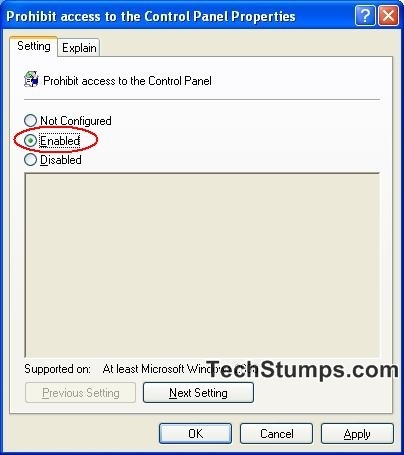 You can set disabled to revert back the previous settings. This method can work in windows xp also. Simple and useful post. Keep on posting articles like this along with your more technical inputs.